The Final Conference was hel in Banja Koviljača. The project was implemented with the support of SENSE program, realized by the Regional Environmental Center (REC), and funded by the Swedish Agency for International Development and Cooperation Agency (SIDA). The project was implemented by the Union of Ecologists Uneco from Belgrade, Eco-Drina Mali Zvornik from Mali Zvornik and Youth Association “Our Ljubovija from Ljubovija. 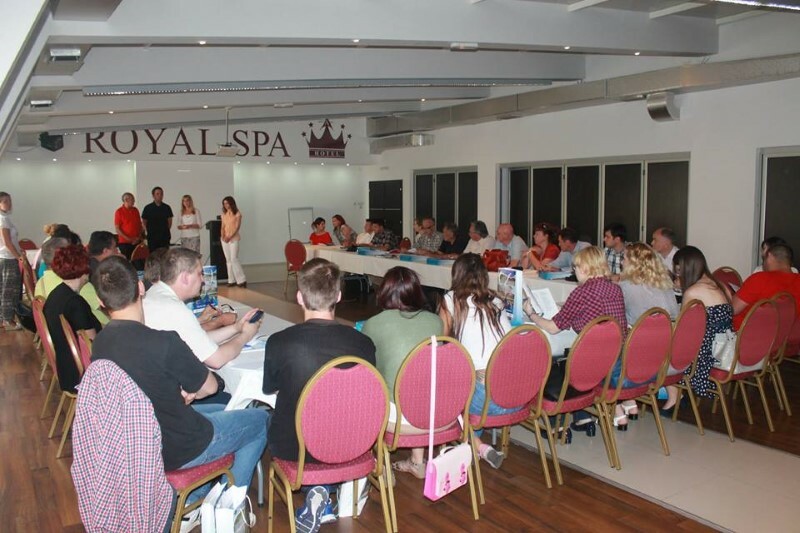 The conference was attended by representatives of municipalities Mali Zvornik, Ljubovija and Loznica, representatives of non-governmental organizations from the region podrinja, representatives of the Emergency Situations Sector, the media and all members of the project team. The final conference was devoted to the available sources of financing in the field of environmental protection and risk management of natural hazards, the institutionalization of the NGO network in the region and presentation of project results with an emphasis on future action. Project presentation was widely supported by the conference participants through the discussion about needs for continuing development of a detailed action plan and monitoring, implementation of the plan and willingness to continue to engage in follow-up activities. Also, the high interest and motivation to educate local population on how to reduce the vulnerability of the community to climate change and natural hazard was expressed.